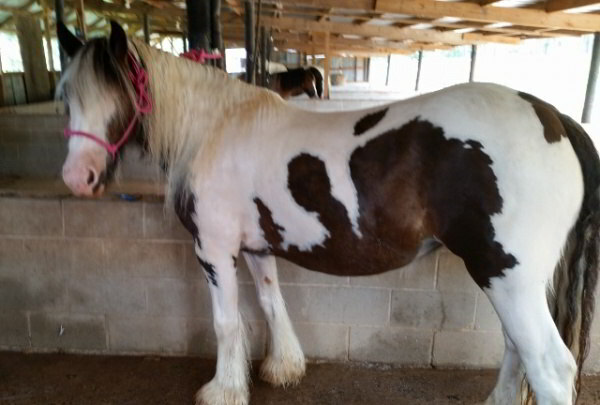 Willow: This mare is a big boned, heavy feathered gypsy form awesome bloodlines on both sides. She is calm and loving. She began training in May 2014. It is a beautiful site watching her move. See below her Dam and Sire. The Midget X Savannah’s Bay of LexLin. Sire: The Midget was sired by the Grandson of Eddie’s Old Horse, of Son of Eddie’s Old Horse, of Eddie’s Alcocks The Old Black Horse. Midget’s dam was sired by The Old Horse of Wales of The Old Horse of Ireland. Dam: Savannah’s Bay, was sired by Bob The Blagdon, of The Lob Eared Horse of H.C’s White Horse. Savannah was born to Bonnie UK who was sired by The Roadsweeper UK, of The Coal Horse.We are looking for a lot of great foals from her in the future.